The latest issue of Seattle Maision magazine is ready for you! Inside the July/August issue are several summer-inspired articles. Farm Life covers the inspirational work of Aurda Mulkern. In her Female Farmer Project, Mulkern chronicles, through writing and photography, the rise of women working in agriculture around the world. By The Book lays out 11 ways to make your bookshelves more stylish. Pets On The Move is a terrific article that offers tips on making your move with your pets easier on them. Beyond Sangria features festive summer drink recipes perfect for entertaining, or to enjoy on your deck as you bask in the sunshine. Each issue of Seattle Maison also includes information on my most recent listings and King County housing market statistics. 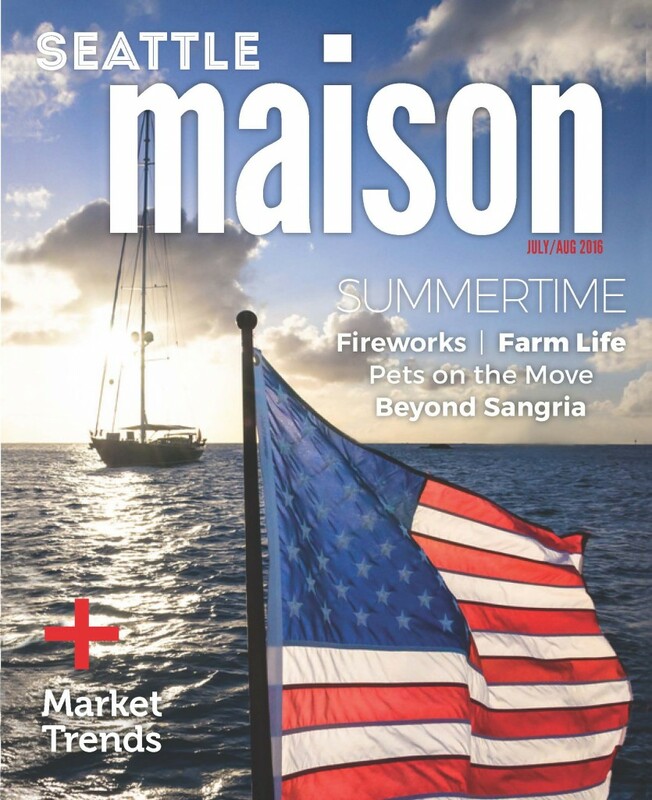 If you would like to receive your own copy of Seattle Maison delivered straight to your inbox, please leave a comment on this blog post or email me at Kathryn@windermere.com. I love sharing this fun, informative magazine with you!